Use this website to quickly find the most important information about the main airport in South Korea, called Incheon International Airport or Seoul-Incheon International Airport: Departures, Arrivals, Parking, Car Rentals, Hotels near the airport and other information about Seoul airport. 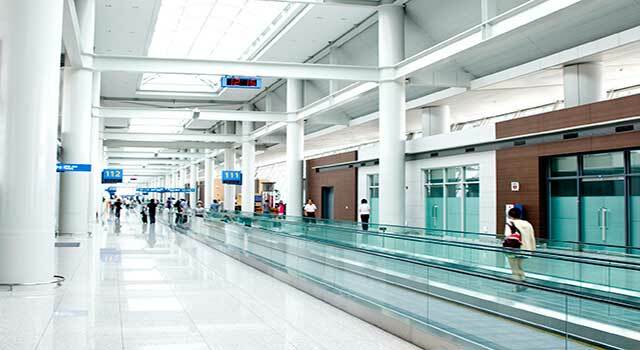 Plan your travel to ICN Airport with the information provided in this site. Seoul Airport, known officially as Incheon International Airport (IATA: ICN, ICAO: RKSI) is the largest airport in South Korea and the primary airport serving Seoul, the largest city and the capital of South Korea. It is located west of Incheon city and 30 miles west of Seoul. The airport serves as the main hub for Asiana Airlines, Jeju Air, Korean Air and Polar Air Cargo. The Seoul airport operates as a hub for cargo traffic and international civilian air transportation in East Asia. Incheon Airport (IATA: ICN) is located 30 miles (48 km) west of Seoul. Seoul Airport is the largest airport in South Korea and one of the busiest and largest airports in the world. 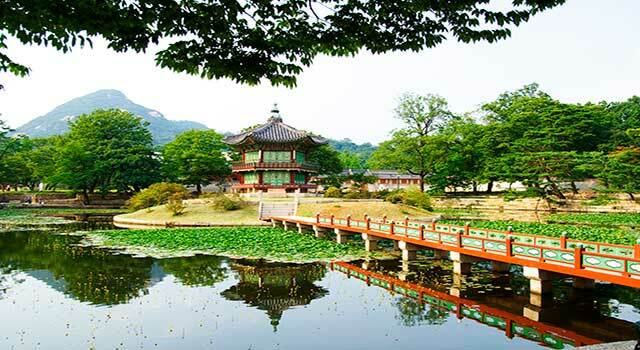 Seoul has many cultural and historical landmarks as the Emperor Palace, the main royal palace built in 1395 of the Joseon dynasty. Most of the flights operated at Incheon Airport (ICN) are domestic and shuttle flights that alternate the airports in Taiwan, China and Japan. Seoul airport is connected to the mainland through the 130 Expressway. In 2017 the airport handled more than 62 million passengers. 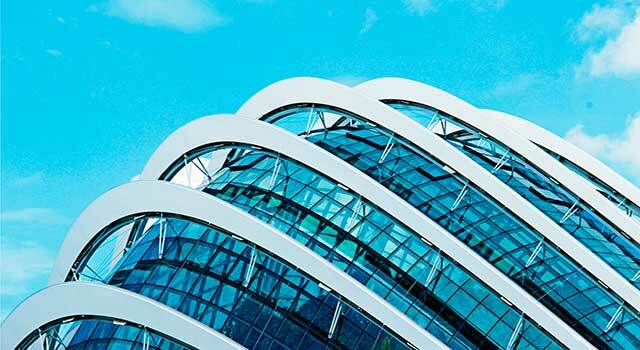 It is ranked as the world’s and Asia’s 8th busiest airport in terms of International Passengers. It is rated as the 3rd busiest airport by cargo traffic in Asia. 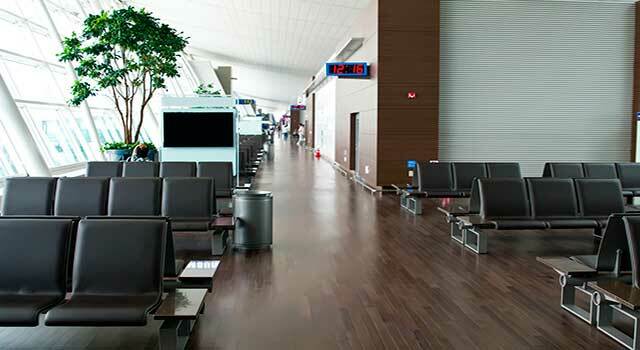 Incheon Airport consist of two terminals: Terminal 1 and Terminal 2. It used to be the main terminal before the completion and opening of Terminal 2. It is the largest airport terminal in area in South Korea. Since 2015, it counts with an automatic check-in counter lane for Asiana Airlines, China Southern and Korean Air passengers. Additionally, there’s a Passenger Concourse connected to Terminal 1 by two parallel underground passageways equipped with IATs (Intra Airport Transit). It was opened in 2018 and is the newest airport terminal, featuring for its eco-friendly and modern design. The main airlines using the terminal are Air France, Delta Air Lines, KLM and Korean Air, although it is expected that the number will increase within the following years. Terminal 2 hosts the Transit hotel. Various shuttle buses links different areas of Seoul airport. - Airport Express - AREX: All-stop or Express trains that reach Seoul City Centre (Seoul Station) and its subway from the airport Railroad Station in less than one hour. - Rail: Incheon Airport is served by the Korean Train Express (KTX) services. 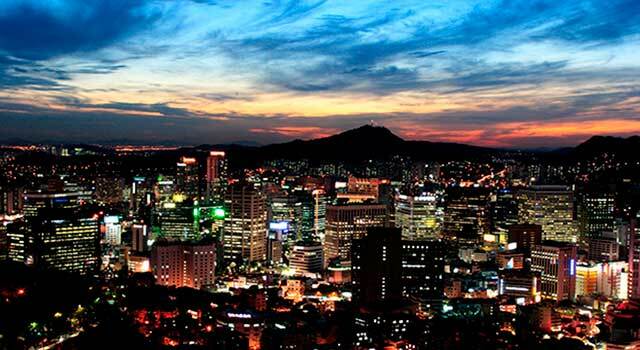 - Bus: Several bus companies offer service from Seoul airport to different destinations within the city and vicinities. There are various types of buses and routes: Local City Bus, Cross-country, Limousine - Standard and Limousine - Deluxe. - Maglev: Opened in 2016, it has 6 km and it links Incheon Airport to the Yongyu Station. From here passengers can connect with AREX trains and Seoul Subway. - Taxi: Normal taxis are colored in orange or white/silver. Deluxe taxis are more expensive than the normal ones and are black with a gold stripe and a plastic yellow taxi cab on the roof of the car. Jumbo Taxis can carry more passengers than the Deluxe taxis but the price is the same. They have written “Jumbo” or “Van”. International Taxis are black with an orange stripe or orange and drivers speak in English, Chinese or Japanese.